David Flatman is a former rugby player. David Flatman was a prop for Bath and the England national rugby union team and the former head of communications at Bath rugby. David Flatman started playing rugby union at the age of eight at his local club, Maidstone FC, inspired by his father, who was a prop. Flatman toured Australia with England Schools in 1997 and the following year went to Argentina with England Colts. He represented London & South-West and England Under-21s against South Africa in the autumn of 1998. His senior club rugby began with Saracens in 1998 and he won his first full caps as a replacement in the Tests against South Africa on the summer tour in 2000, when he also appeared in the matches against North-West Leopards and Gauteng Falcons. He made a second tour with the England side to North America in the summer of 2001, appearing as a replacement for Graham Rowntree in the Burnaby and San Francisco Tests against Canada and the United States respectively. He had a wealth of A team experience having been a regular in the side since making his debut against France in Blagnac in 2000. He had a sequence of seven England A team games before being recalled to the senior squad for the final test of the 2000–1 season against France at Twickenham. He moved to Bath in 2003, where he proved himself to be one of the finest front row forwards in English rugby union with his sterling performances in a revamped Bath pack. 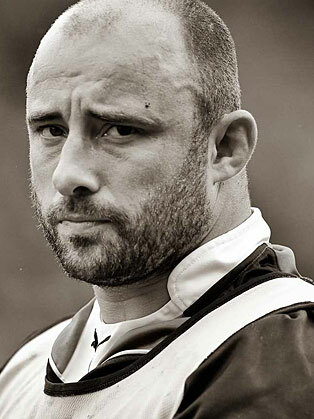 Flatman announced his retirement from rugby on 15 June 2012.